Father Angelo Maggos grew up in Tarpon Springs, FL. He graduated from Tarpon Springs High School and received a Bachelors of Mechanical Engineering Degree from the Florida Institute of Technology in Melbourne, Florida. Father Angelo married Presvytera Teri in 1984 and worked in the Defense Industry. This position influenced his decision to serve his country in the US Army for 10 years, serving in both the United States and Germany. After leaving the military, he worked for General Motors and began an Engineering and Management consulting business in 1997, working throughout Europe and Asia. In 2002, Fr. Angelo began hearing God’s calling. Under the spiritual guidance of Fr. Nicholas Pathenos of St. George in Bloomfield Hills, he enrolled at the Greek Orthodox seminary of Holy Cross in Brookline, MA and completed his Masters of Divinity in 2007. Fr. 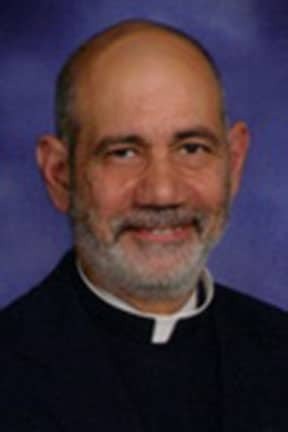 Angelo was ordained to the priesthood in September 2007 by His Eminence Metropolitan Nicholas of Detroit and was assigned to the Annunciation parish of Kalamazoo, MI. In 2008, he was reassigned to the Assumption parish in Flint and in 2010 moved to their newly built church in Grand Blanc, MI. Fr. Angelo is an instrument rated pilot and enjoys flying his Piper Archer. Metropolitan Nicholas was born in Glens Falls, New York in 1953 to Emmanuel and Calliope Pissare. Metropolitan Nicholas’ family also includes two brothers and a sister. When the family lived in Glens Falls, they belonged to the St. George Greek Orthodox Church in Schenectady, New York. Today, Metropolitan Nicholas’ family resides in Denver, Colorado. Metropolitan Nicholas was ordained as a Deacon on July 6th, 1991 by Bishop Maximos at the Annunciation Church in Mckeesport, Pennsylvania. He was ordained to the Priesthood by Bishop Maximos and co-celebrant Bishop Philip at the Assumption Greek Orthodox Cathedral in Denver, Colorado on July 23rd, 1991. He was elevated to the rank of Archimandrite on the same day, based on his years of service to the Church. 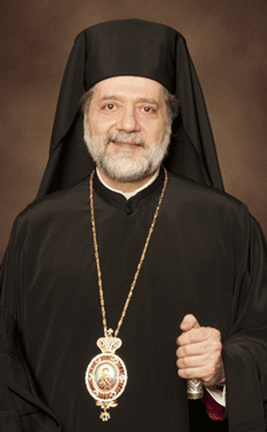 Metropolitan Nicholas was elected as the Bishop of the Greek Orthodox Diocese of Detroit by the Holy and Sacred Synod of Constantinople on Saturday, March 13, 1999 (view election document). He was consecrated as Bishop on the Saturday of Lazarus, April 3, 1999, at the Holy Cross Greek Orthodox Church in Brooklyn, New York by Archbishop Spyridon, who was assisted by Metropolitan Maximos of Pittsburgh and Bishop Dimitri of the Antiochian Orthodox Archdiocese. His Enthronement took place on Sunday, April 18, 1999 at the Annunciation Cathedral in Detroit, MI. In 2002, His Eminence was elevated to the rank of Metropolitan by the Holy and Sacred Synod of Constantinople. This appointment came after the Holy and Sacred Synod of Constantinople elevated the Greek Orthodox Diocese of Detroit to the Greek Orthodox Metropolis of Detroit. The Metropolis of Detroit has direct spiritual authority, supervision, and pastoral care over its clergy and parishes in seven states, including all of Michigan, Kentucky, and Arkansas, and parts of Indiana, upstate New York, Ohio, and Tennessee. Through his years of service at all levels to the Greek Orthodox Church, his educational background, and his deep and longstanding commitment to the Church, Metropolitan Nicholas has served, and continues to serve, a successful hierarchical ministry in the Metropolis of Detroit.